Vidyut Jamwal is a Martial Arts artist and also a Bollywood, Tollywood and Kollywood actor who started his career with a Telugu film called Shakti in 2011 followed by a Bollywood movie "Force" in the same year. He is a trained Indian style martial arts "Kalaripayattu" expert which he used to learn and practice since the age of three. He is also popular as "The New Age Action Hero of Bollywood". He is all set to appear in his next Hindi film called "Yaara" directed by Tigmanshu Dhulia. Vidyut Jamwal was born on 10-12-1980 in Jammu to an army officer with two more brothers and was travelling across India just because his father's transferable job. He took his education at a boarding school and also used to take martial arts classes simultaneously from an Ashram in Kerala which was run by his mother. He travelled across the globe and took martial arts coaching in various forms. After gaining a strong level of degrees in it, he started doing live action shows which were beyond any regular showcase monotonous actions are ever done before. There are more than 25 countries in which he performed. Eventually, he shifted to Mumbai in the year 2008 and soon landed to Bollywood with debut film Force as directed by Nishikant Kamat. He got the chance to one audition and chosen for the role among thousands of candidates for the character of Vishnu in this film. For this role, he earned all the awards dominantly in the year 2012 for Most promising actor debut. He then saw in another action packed film called "Commando" in the year 2013 followed by Bullet Raja and some other Tamil and Telugu films. He took an initiative to train self-defense technique to college going girls and working professionals. He hosted a camp at a college festival in Mumbai. He is pure vegetarian and also appeared in an ad for PETA with the caption “Powered by Veggies! Go Vegetarian”. Along with Kangana Ranaut were adjudged as PETA India's Hottest Vegetarian Celebrities of 2013. His fitness mantra is martial arts, a set of cardio, weight and other forms of hard training. His latest regime includes Anti-Gravity Yoga and Suspension TRX. He is also an excellent rock climber. He recently visited Shaolin Temple in China to pay honour to Bodhidharma. He was the one who took Kalaripayattu from India to China. 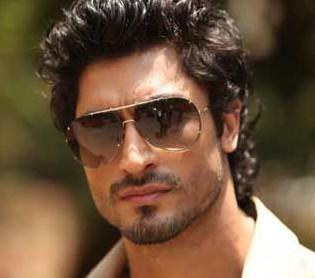 As per the sources, Vidyut was having a relationship with Mona Singh but, later on, broke up with mutual coordination.